Venue change for tonight's meet-up: the Rattlesnake Bar & Grill, 384 Boylston St., Boston, MA. 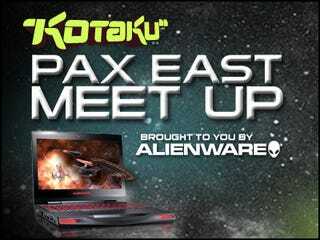 Meet Kotaku editors in town for PAX East, then hang at the Alienware afterparty where you can eat, drink, and experience the new Alienware systems until the wee hours. 8pm-2am. See you there!